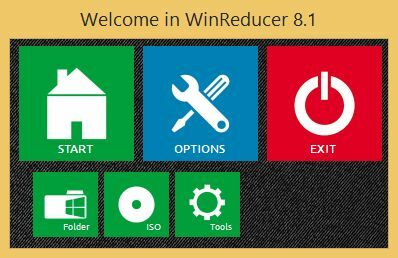 WinReducer 8.1 is a handy and reliable application designed to provide users with the possibility to personalize the way Windows 8 is deployed. WinReducer 8.1 features a wide array of customization and tweaks aiming to remove unnecessary features from Windows 8, as well as to add a few exclusive features that will make the system faster and more stable. You get a smaller installation folder, more free space, which is a real benefit especially on SSDs (Solid State Drives).